You will find that Impey Slimline shower trays are an extremely attractive, versatile and robust solution. The anti slip floor surface provides a reassuring underfoot feeling. 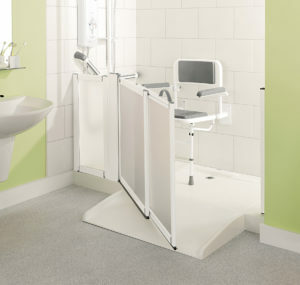 At only 35mm step height, most people will find the tray easy to access. 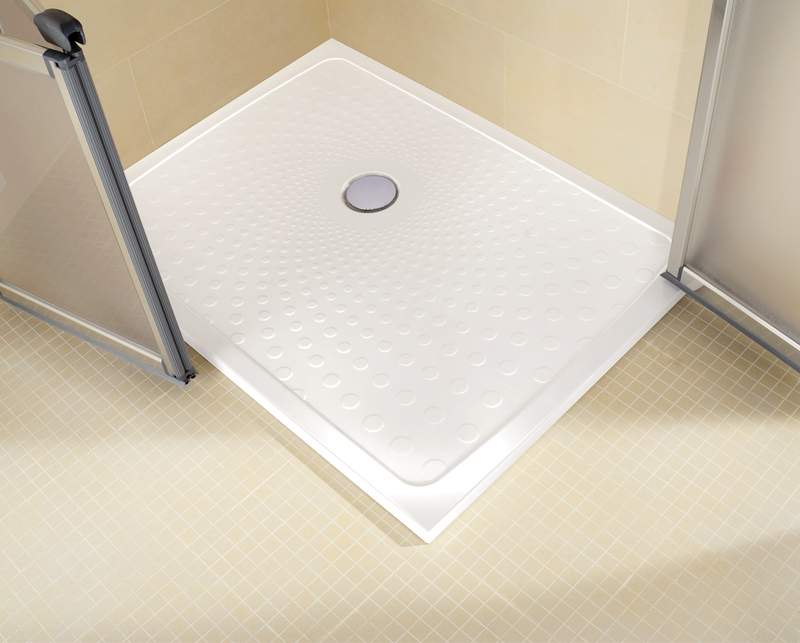 However if you find that step is still to much, you can recess the tray into the floor for virtually level access. See the photo for how to achieve this. 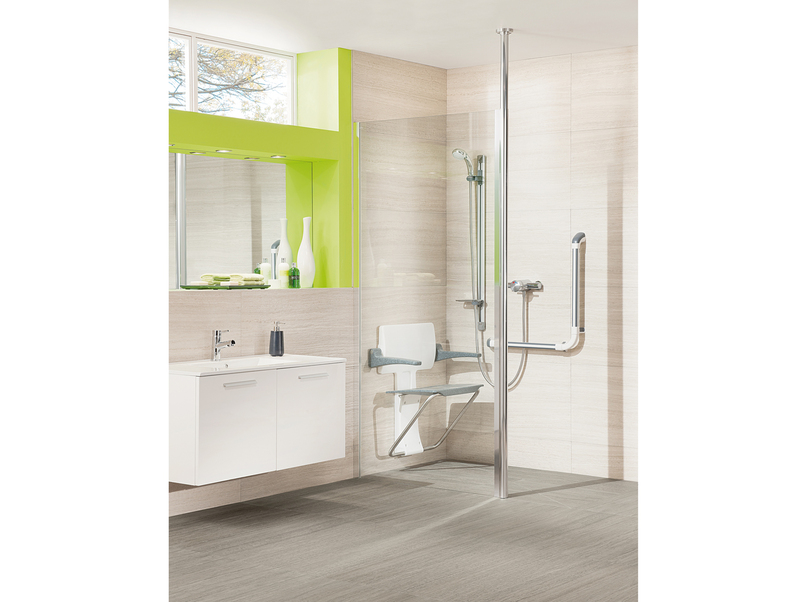 A range of accessories is available for the Impey Slimline shower trays. 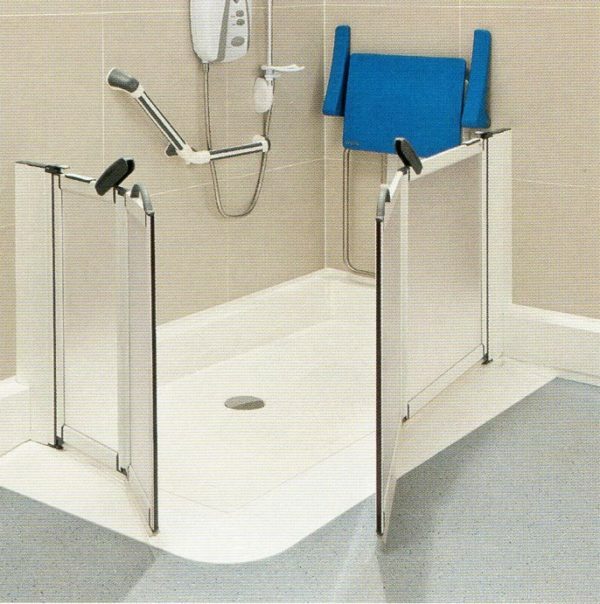 If you need wheeled access to the shower, you can fit dedicated ramps. Matching pipe ducting makes an attractive way to conceal pipes which cannot be rerouted or buried. The ramps and ducting will blend in perfectly as they are made of the same material as the tray. You can use Impey Slimline shower trays with gravity or pumped waste solutions. 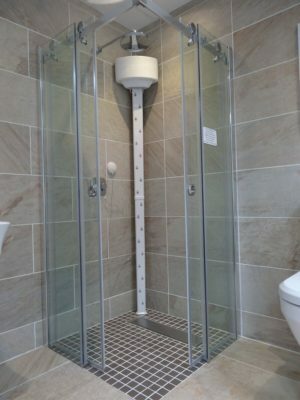 Simply specify at the time of ordering and we can supply the correct kit. The standard gravity waste connects to a 40mm waste pipe. If you need a pumped waste, we can supply waste pumps and accessories to complete the system. Our trained staff will be able to assist and advise. Nine tray sizes are available to suit virtually any requirement. Choose from 800×800, 900×900, 1000×1000, 1200×750, 1200×900, 1300×700, 1300×750, 1500×750 or 1700×750. 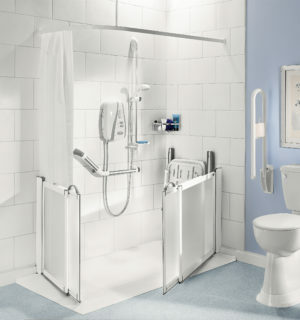 The 1700×750 tray can be trimmed to length when replacing a bath. Take a look at the Impey half height enclosures and glass shower panels to complete your project. Impey Slimline shower trays – the most versatile solution!